The Nota Fiscal Item Type is used as one of the parameters to get automatically the correct CFOP for each nota fiscal. The CFOP (Código Fiscal de Operação) means the operation that is represented by the Nota Fiscal Document, example: Regular Sales, Sales to Free Trade Zone, Free Sample, Freight Invoice, and etc. SAP delivers only few NF Item Types and as there are more than 300 CFOP for incoming and outgoing nota fiscal, sometimes it is necessary create a new nota fiscal item type to allow determine the correct CFOP automatically. Here you define the Nota Fiscal Item Type, it can be used alphanumeric with 1 or 2 digits. You also need to enter a description that identifies the NF Item type / usage purpose. You can copy a similar NF Item Type as reference or enter manually the rules for the new NF Item type. 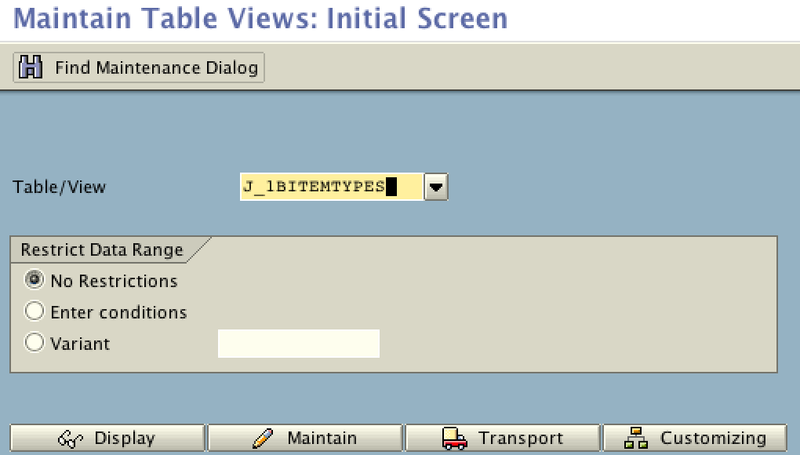 You must type the same NF Item type code that you created previously as explained on the step 1, maintaining the J_1BNFITEMTYPES table. The steps above completes the NF Item Type creation. You will have to assign the new NT Item type to the tables J_1BAONV or J_1BAPNV tables and create the rules to get the CFOP automatically assigned. Copyright Notice: © Leandro da Pia Nascimento and SAPBR.COM (SAP BRAZIL) WordPress Blog, 2013 to 2015. Unauthorized use and/or duplication of this material without express and written permission from this blog’s author and/or owner is strictly prohibited. Excerpts and links may be used, provided that full and clear credit is given to Leandro da Pia Nascimento and SAPBR.COM with appropriate and specific direction to the original content. 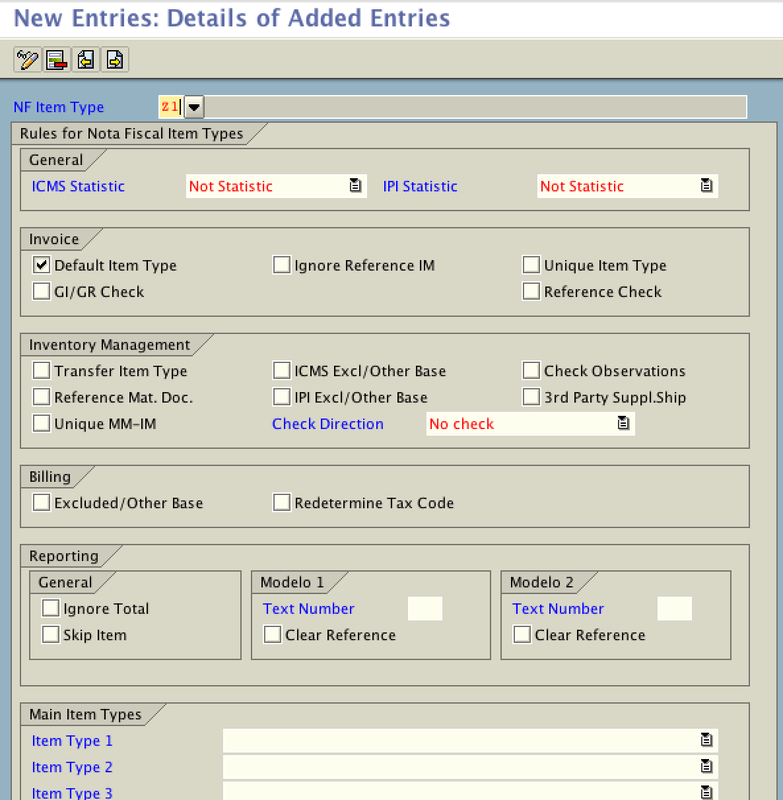 Next Next post: How to find the missing CFOP rule entry?